FREEDOM OF INFORMATION FILLS A ROOM Freedom of information isn’t a hot button issue for most Canadians. But that didn’t dampen turnout for the Vancouver Press Club’s first freedom of information workshop. The workshop was held in a room at Simon Fraser University’s downtown campus that accommodated 62 people. But the Club managed to fill that room and then some, making it a standing room only event with more than 70 attendees. But what the release doesn’t say is Ontario is just following what is common practice in some other jurisdictions. By my count, there are at least three others provinces — British Columbia, Alberta and Saskatchewan — that already make ministerial mandate letters public. POWERFUL PLACES PROTECTED FROM ACCESS REQUESTS IN CANADA, NOT U.S. Federally, records exclusively held by ministers’ offices aren’t subject to freedom of information requests. But, down in the United States, similar exclusions and exemptions appear to be the exception rather the rule at the state-level. THE INCREDIBLE SHRINKING FOI REQUEST Talisman Energy Inc. has a 48,000 net acre position in British Columbia’s Montney natural gas play. It also has in-house lobbyists registered to “Influence [provincial] environmental and energy related policy, regulations and decisions to support the economic and sustainable development of shale resources in BC,” among other issues. So it’s not surprising that when journalist Jeremy Nuttall filed a freedom of information request for communications between the company and the province’s ministry of natural gas development from May 1, 2012 to May 26, 2014 he was given a $1,218 fee estimate. But what is surprising is that when Nuttall narrowed down the request to briefing notes relating to Talisman, as well as emails and correspondence between it and the ministry, he wasn’t given anywhere close to the 7,600 pages of records his original request had apparently netted. Instead, he was given just two. This entry was posted in Freedom of Information, Media on September 28, 2014 by Sean Holman. Partisans may not believe it, but Canada’s “culture of secrecy” existed long before Stephen Harper moved into the prime minister’s office. And it’ll be around long after he moves out, unless Canadians do more than just cast their ballots in the next election. That’s why four groups concerned about freedom of information, one of which I’m part of, are launching a campaign encouraging Canadians to take a small but vital step on social media that would raise more awareness of just how much is being hidden from us: spotlighting examples of government secrecy with the hashtag #cdnfoi. Such secrecy has its roots in our political system, which has a tradition of strict party discipline. Because of that discipline, decisions made by the government behind closed doors – in cabinet meetings, for example – are rarely defeated in the House of Commons, making secret forums the principle arbiters of public policy. To be sure, the Harper administration has done more than its share to cultivate a backroom state, frustrating access to government records and officials, as well as failing to fix our broken freedom of information system. But Canadian society is an especially fertile ground for the growth of policies that violate our right to know. In part, that’s because our country doesn’t have any groups that exclusively and routinely advocate for greater freedom of information at a national level. The closest we have is the small BC Freedom of Information and Privacy Association. But, as its name implies, the association’s two staff members toil on information and privacy issues in British Columbia and the rest of Canada from a tiny office above a beauty salon and spa in Vancouver. Meanwhile, other organizations that care about our right to know have even more multiplicitous mandates. For example, Ottawa’s DemocracyWatch stands on guard for democratic reform and corporate responsibility, as well as freedom of information. Meanwhile, Halifax’s Centre for Law and Democracy also deals with other human rights issues abroad. By comparison, the United States has three umbrella organizations that exclusively safeguard Americans’ right to know. They include: OpenTheGovernment.org, representing 94 groups; the National Freedom of Information Coalition, representing 30 dues-paying groups; and the Sunshine in Government Initiative, representing nine groups. Such umbrella organizations have always been few and far between in Canada. In the seventies, a coalition called ACCESS: a Canadian Committee for the Right to Public Information was established to lobby for greater freedom of information. Reports from the Globe and Mail back then described the committee as having the backing of groups such as the Canadian Manufacturers’ Association, the Canadian Labour Congress and the Canadian Daily Newspapers Association. But long-time right to know researcher Ken Rubin stated in an email that ACCESS, which played a key role in the creation of Canada’s current freedom of information law, was actually “primarily a group of diverse individuals” that included academics, activists and lawyers and had some “paper” affiliations with other organizations. Those concerns aside, in 2011, DemocracyWatch launched the Open Government Coalition. So far, the coalition is made up of three groups – not counting DemocracyWatch and an affiliated charity. Although founder Duff Conacher stated in an email he plans to expand it this fall. In the meantime, the New Democrats and the Liberals have proposed laws and policies that would open up government. They should be applauded for doing so. And, if the past is a predictor of the future, they may even act on some of those proposals if they win power – just as the Conservatives did. But eventually the expediency of secrecy seems to seduce every government, regardless of its political stripe. Which means a New Democrat or Liberal administration will likely become just as tight with information as the Conservatives – albeit, perhaps, with more of a velvet glove covering that clenched, iron fist. Just as neither the right nor the left has a monopoly on the truth, neither has a monopoly on secrecy. As a result, it’s vital for Canadians to start paying better attention to our information rights so we can better safeguard them. That’s why the BC Freedom of Information and Privacy Association, the Canadian Association of Journalists, DeSmog Canada and IntegrityBC, are now encouraging Canadians tweet about threats to their right to know using the hashtag #cdnfoi. Those threats include everything from backroom government meetings and frustrated freedom of information requests to inaccessible officials and nonexistent public records, whether they are at the federal, provincial or local level. At present, the use of that hashtag isn’t widespread, making it more difficult for Canadians to know about such threats. So, by just tagging stories about government secrecy with #cdnfoi, you can help your fellow citizens know about what they aren’t being allowed to know. And you can encourage others to take up the fight by sharing these graphics promoting #cdnfoi – helping change Canada’s culture of secrecy in the process. This entry was posted in Democracy, Freedom of Information, Media on September 26, 2014 by Sean Holman. What is freedom of information and why does it matter in Canada? I’ll speaking on that subject this coming Friday at the Vancouver Press Club’s FOI Workshop – as well as making a special announcement about how journalists can help push for more openness and accountability in government. I’ll be joined by my friend and former Vancouver 24 hours colleague Bob Mackin, Canadian Press reporter Dene Moore and Vancouver Sun data journalist Chad Skelton. The three of them will share their tips on how journalists can generate ideas for freedom of information requests, file them and troubleshooting them. So if you want to know more about how to better exercise your right to know – and fight back against those who violate it – make sure you come by Simon Fraser University’s downtown campus. This entry was posted in Announcements, Freedom of Information, Media on September 22, 2014 by Sean Holman. NOT ALL INDUSTRIES TREATED EQUALLY UNDER THE LAW The BC NDP’s environment critic has called for end to the double standard that sees safety violations in British Columbia’s mines treated differently than those in other industries. That double standard has meant that, over the past 10 years, there hasn’t been a single fine issued under the Mines Act – the law that’s supposed to keep mines safe and healthy. By comparison, between 2003 and 2013, the agency responsible for enforcing the worker safety law covering industries other than mining in British Columbia levied penalties totalling more than $31 million. That agency, WorkSafeBC, also publishes a list of which companies received those penalties – a dramatic contrast with the lack of disclosure about health, safety and environmental violations at the province’s mines. In an email, a ministry of energy and mines spokesperson explained the province’s mining inspectors don’t have the power to levy a fine without going through the legal system, requiring “prosecution by Crown Counsel and conviction by the court.” That’s a process WorkSafeBC doesn’t have to go through to levy its administrative penalties. But mining inspectors who see a violation of the Mines Act can order the company to fix that problem. If that dictate is ignored, the inspector can order work stopped or the mine closed. A 1997 research report prepared for the government stated Canada’s “mining fraternity” believed fines can damage the relationship between inspectors and companies, as well as management and employees. But it’s more dangerous than the petroleum industry, for example. In 2012, mining had an injury rate of 1.12 per 100-person years of employment, according to WorkSafeBC. By comparison, that rate was 0.8 in oil and gas. The BC Federation of Labour, which represents the province’s union movement, did not respond to a request for comment by deadline. LET MY CIVIL SERVANTS GO! The Halifax-based Centre for Law and Democracy has recommended Ottawa allow federal government employees “to speak honestly and openly with the public” – a position shared by the Canadian Association of Journalists. The centre made that recommendation as part of its submission to the consultation process for the Harper administration’s second open government action plan. You can read all of the centre’s recommendations here. MORE HANDS ON CABINET SECRECY STAMP The Canadian Press has reported that the federal government has made it easier for its departments to classify records as cabinet secrets – protecting them from access to information requests. In the past, that decision had to be made by the Privy Council. But now, thanks to what the Canadian Press described as a “stealthy Treasury Board directive in the summer of 2013,” that responsibility rests with individual departmental lawyers. This entry was posted in Freedom of Information, Media, Public Relations, Regulation on September 21, 2014 by Sean Holman. REPORTERS GET SPECIAL TREATMENT FROM HARPER ADMINISTRATION The muzzle federal bureaucrats must wear around journalists appears to be so tight that they can’t even talk about the Harper administration’s open government action plan if a reporter is in the room but one of their spin doctors isn’t. The scene of that crime against free speech was a “public workshop” in Halifax which was supposed to give Canadians an opportunity to comment on the second edition of that plan. Ironically, the Canadian Association of Journalists recently wrote a letter calling on the federal government to do away with such poisonous public relations restrictions as part of its new open government action plan (disclosure: I drafted and then, as one of the association’s regional directors, co-signed that letter). TRAINED SEALS FAIL TO FLEE AQUARIUM Michael’s Chong Reform Act is being “watered down to the point of transparency,” according to the National Post’s Andrew Coyne. But don’t say I didn’t warn you this would happen. The bill, which was introduced last year by Chong, was supposed to legally enshrine caucus’s authority to remove party leaders. It was also supposed to take away the final say those leaders have on who gets to run for their party and who doesn’t. But, last week, Chong announced he would be proposing two major changes to the Act that will limit those provisions. The first will allow parties to designate someone who will get a final say on who can be an election candidate. The second will allow caucuses to opt out of having the power to remove their leader. But that should come as no surprise to readers here. THE HIGH PRICE OF FREEDOM (OF INFORMATION) A Calgary city councillor wants the public to pay more for information about work the public has paid for, even though Alberta’s freedom of information fees are already among the highest in the country. It costs $25 to file a freedom of information request in Alberta, with other provinces and the federal government charging $5 or nothing at all. Only the Northwest Territories and Nunavut match Alberta’s filing fee. Similar to other Canadian governments, Alberta also allows freedom of information applicants to be charged the cost of searching for records and copying them. This entry was posted in Democracy, Freedom of Information, Media, Public Relations on September 14, 2014 by Sean Holman. When there was a deadly explosion at West Virginia’s Sago Mine in 2006, the United States media was able to quickly inform the public about the operation’s poor safety record — something that would be impossible in British Columbia without government cooperation. Yesterday, I reported how British Columbians have very little information about the safety and regulation of mining compared to Americans, making it difficult for journalists and activists to watchdog that industry. In 2004, the Sago Mine reported an injury rate that was three times that of similar-size underground mines across the country. And last year, the Anker West Virginia Mining Co. operation was fined more than $24,000 for about 200 alleged violations, according to U.S. Mine Safety and Health Administration data. During the last six months of 2005, the Sago Mine reported a dozen accidental roof falls, according to MSHA records. Only one of those roof falls caused an injury, the MSHA records show. Three of the roof falls occurred after International Coal Group finalized its purchase of the Anker operation in mid-November. During their last three complete examinations of the Sago Mine, MSHA inspectors cited the company for more than 180 violations. After the most recent such inspection — from early October to late December — MSHA issued 46 citations and three orders for a variety of safety violations. Inspectors listed 18 of those as “serious and substantial.” These “S&S’ violations are those that MSHA believes are likely to cause an accident that would seriously injure a miner. It’s intolerable that this kind of information about mining isn’t publicly posted in British Columbia. Instead, journalists, activists and citizens have to go cap in hand to the government, begging for it to be released. The only alternative is to request that information through the province’s lengthy and often frustrating freedom of information process. But what’s even more frustrating is how little seems to have been done to change this state-imposed ignorance. This entry was posted in Freedom of Information, Media on September 9, 2014 by Sean Holman. British Columbia is one of the country’s biggest mineral producers. But, compared to Americans, British Columbians have very little information about the safety and regulation of that activity. And that means journalists, activists and citizens have very little power to stop mining problems before they become mining disasters. Just such a disaster happened last month when the tailing dam at Imperial Metals Corp.‘s Mount Polley Mine collapsed, resulting in a flood of concern and questions about safety at similar operations in the province. In response to a request from Vancouver Sun reporter Gordon Hoesktra, the government released details on the 49 “dangerous or unusual occurrences” that were recorded as happening at tailing ponds in British Columbia between 2000 and 2012. The government also hasn’t released details on the “dangerous or unusual occurrences” that were recorded as happening at mining locations other than tailing ponds between 2001 and 2012. Those occurrences, according to aggregate statistics released as part of the chief inspector of mines’s annual report, include 1,173 incidents at pits, 287 incidents at plants or mills, 178 incidents at maintenance shops, etc. etc., etc. By comparison, the haul of information about mines in the United States is considerably richer. The federal Mine Safety and Health Administration has a database that includes statistics and reports about past and present health and safety accidents, inspections and violations at individual mines. And the Environmental Protection Agency has a similar database detailing environmental inspections and violations at those operations. 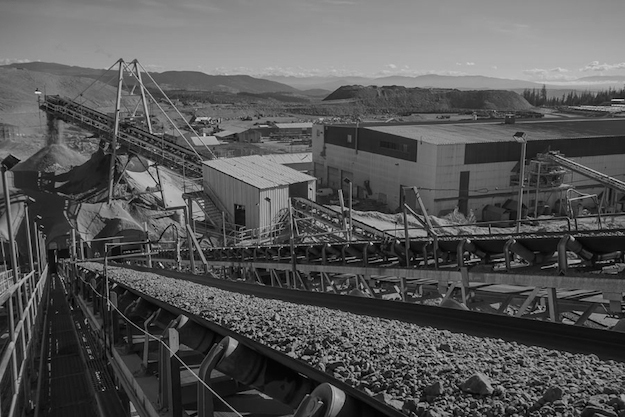 That means Americans, with just a few keystrokes, can find out there were four injuries at Imperial Metals’s Sterling Mine in Nevada between 2012 and 2014, including a “serious abrasion to thumb,” a “tibia fracture” and a head laceration. They also can find out there’s been six health and safety inspections of that mine so far this year during which 13 violations of the Mine Act were cited, with penalties and proposed penalties totaling $4,764. And they can find out the last Resource Conservation and Recovery Act inspection of Toronto-based Barrick Gold Corp.‘s Goldstrike Mine, which is also located in Nevada, took place on May 14 and that the operation is currently listed as being in “significant violation” of that legislation. There is absolutely no reason why British Columbians shouldn’t be similarly informed about our own mines — except for our willingness to elect governments on both the left and right that exploit our political complacency and infantilism. After all, how many citizens do you think will put information rights as their top issue the next time they go to the polls? And how many even care about those rights between elections? But without such information it’s impossible for British Columbians to know how safe our mines are — and whether officials are doing enough to keep those operations safe. Journalists and activists just don’t know what we don’t know. Instead, we have to trust that our Father Knows Best government will take care of its citizen-children at the expense of the powerful who are its friends and financiers. And that’s exactly the way most politicians, once they get into power, seem to like it. * = Imperial Metals doesn’t show up in either database. This entry was posted in Democracy, Freedom of Information, Media on September 8, 2014 by Sean Holman. SHOULD REPORTERS DO MORE TO SHAME SECRET KEEPERS? NAME THAT SHAME Like Canadian reporters, students journalists in the United States have seen their freedom of information requests frustrated. But, six months ago, a legal aid group for those students decided to something clever about that frustration. The Student Press Law Centre launched a Tumblr blog called FOIA Shaming, inviting campus reporters to share stories about university administrators who have violated the public’s right to know. Only five such stories have posted on the blog so far. Nevertheless, I wonder whether a similar initiative to shame Canadian public bodies that charge excessive fees for freedom of information requests or are laggards in responding to them might be worthwhile? CANADIANS CAMERA SHY In the United States, television cameras are allowed in state courts but not in the Supreme Court. By comparison, in Canada, cameras have been rare in trial courts but our highest court is televised. However, public attitudes towards expanding such coverage are very different in the two countries. By comparison, when Angus Reid Public Opinion asked 1,017 Canadians in 2010 for their opinion on whether “cameras and recording devices” should be allowed inside our courts, just 49 percent said they would support such a decision. A MADE IN CANADA SOLUTION? Is The Atlantic’s David Frum suggesting the United States should be more like Canada if wants to cure its political ills? Of course, as readers of this column know, Canadians don’t seem as prone to the same kinds of reformist tendencies. As a result, our system of government — with its secret cabinet meetings, rigid party discipline and antiquated freedom of informations laws — remains comparatively efficient if somewhat undemocratic. Frum did not respond to a tweet asking whether his column was inspired by that system. This entry was posted in Democracy, Freedom of Information, Media on September 7, 2014 by Sean Holman. In its repeated attacks on the media, the governing Conservatives may also be undermining Canada’s international reputation for press freedom. That followed an earlier fundraising email, distributed in August, claiming “the urban media elite are mobilizing against” the Conservatives. Such claims may seem to some like par for Canada’s increasingly partisan political course. But they are also one of the indicators Reporters Without Borders uses to measure attacks on press freedom worldwide. Its World Press Freedom Index questionnaire asks respondents how often the government of a country has attempted to publicly discredit or publicly insult journalists within the past 12 months. The results of that questionnaire — which is sent to 18 freedom of expression groups, Reporters Without Borders’s 150 correspondents, as well as journalists, researchers, jurists and human rights activists — are then used to assemble the index. The most recent index ranked Canada’s press freedom 18th out of 180 countries examined, although its methodology hasn’t been without criticism. This entry was posted in Democracy, Freedom of Information, Media on September 3, 2014 by Sean Holman.